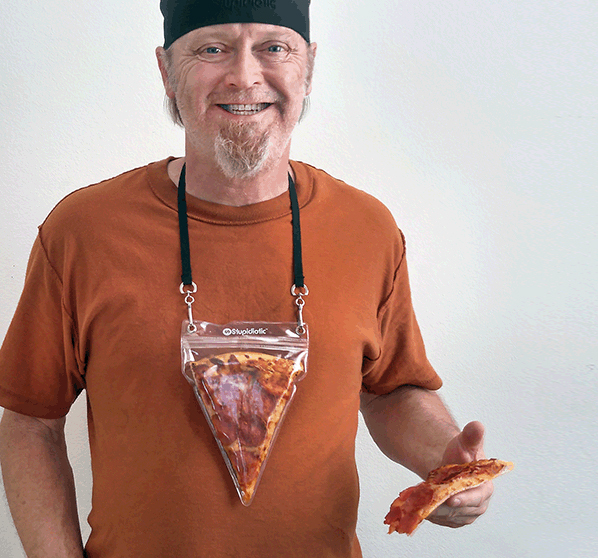 Aptly named the Portable Pizza Pouch, this lanyard is able to hold a slice of pizza around your neck. 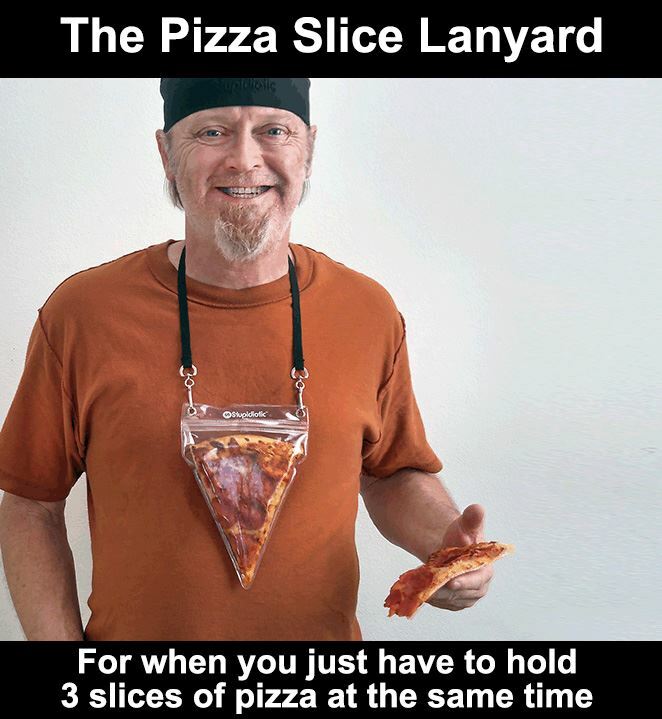 Perfect for when your hands are filled with other slices of pizza, for when you'd like to save a slice for later but don't have a box to put it in (but do have a pizza slice lanyard? ), or maybe you would just like to showcase to the world your love for pizza by wearing a pizza slice necklace. Maybe you're at a pizza convention, or maybe you're just looking for a snack for later, either way you're surely going to look like an idiot with a slice of pizza around your neck. The pizza slice holding lanyard is made from plastic, and even has a Ziploc enclosure on the top of it to keep your slice of pizza extra fresh. Most likely one of the stupidest products we've feature on Odditymall, the pizza slice lanyard is ironically sold by Stupidiotic, a store that, you guessed it, sells stupidly weird products like the wall clock that uses three separate clocks to tell the time, or the pizza slicer fork.